A New York DMV-approved Point and Insurance Reduction Program, more commonly referr ed to as defensive driving, is a popular credit which many don’t take full advantage of. Not only does completing the defensive driving course reduce your record up to four violation points occurred by traffic violations, but it also provides you with a 10% rate reduction on your insurance for three years. That discount will be applied to your current policy, with no hassle. You may not think of it as much, but three years of a discount really adds up. Defensive driving courses are also available at most local libraries and even online. Completing the course has become so easy, there’s really no reason why anyone should not be receiving this credit. Members of AARP can even take this course for a reduced price. For more information, call 1-877-689-0674, or visit the link below. 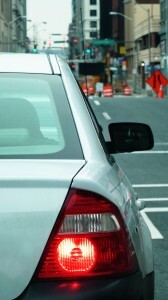 ‹ Why should I elect to have roadside assistance? Is the Assigned Risk making a comeback?